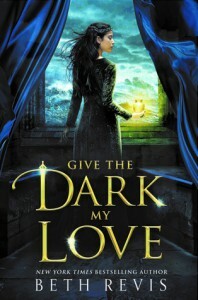 Give The Dark My Love is the kind of book that is not easily defined. For me, it was part Dark Fantasy, part Alternate History and also part Supernatural with a splash of romance. The romance in no way interferes with the storyline or dominates it either…just enhances it. In the beginning, I had an overwhelming feeling of depression… the disease or plaque that does dominate the story, just left me saddened. But around the half-way point, this takes a decidedly dark turn and that's when this story evolves into something most compelling…the darkness and the necromancy sucked me right into the story. Despite the slow start to the book and my not having read too much about necromancy, to say yay or nay on it…I still feel like this is executed smoothly and poignantly. Narration~☆5☆ for Mhairi Morrison, she reminded me of the girl in the Disney Movie Brave…I quite loved her accent. ☆4☆ for Bruce Mann…meh, he was all right.